Dinner last night at Hon Sushi, in the Pavilions shopping center at Foothill and Myrtle. 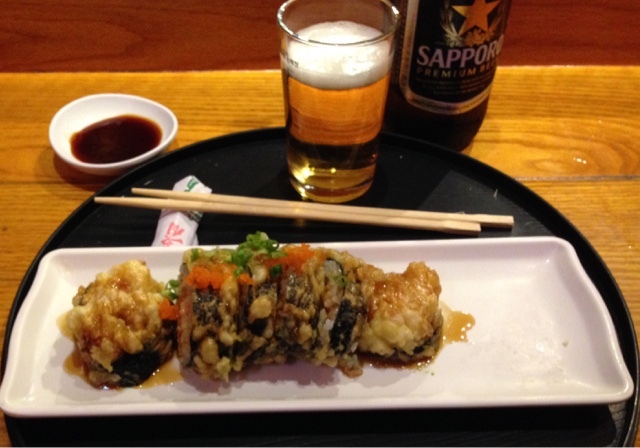 I got the Las Vegas Roll ($9.99) and a beer ($4.95, happy hour price). I'm thinking maybe the roll was not entirely traditional Japanese, but it was very tasty! Service quick and friendly.